“Let me begin by saying that yours is a very important conference. The Right to Information is now about six years old. I am sure we are all agreed that empowering our citizens with this right was a huge step forward in the direction of curbing corruption and improving process of governance. There are issues which directly affect the life of every citizen of our country. Therefore, as you evaluate past experience in the implementation of the Right to Information Act and deliberate upon ways and means – how to make it more effective, you will be contributing to efforts for improving the quality of life of the common man in our country. Not only this, this convention is taking place at a time when there is a vigorous ongoing debate on the issues of corruption and governance. It is my fondest hope that your discussions will contribute meaningfully to this debate. Let me also say that I am very happy to be amidst you today on this very important occasion. I had the opportunity to address the third annual convention of Information Commissioners in November 2008. I had then stated, that there were indications that the benefits of the Right to Information had, in fact, starting reaching the common citizens. I had also said that one could discern at that time a gradual but steady process of building a more accountable, more transparent and citizen-friendly government. Three more years have passed since I made those observations and I can say with confidence that the Right to Information Act is now being more extensively and effectively used to bring into public gaze many areas of the work of public authorities which would otherwise remain hidden from public gaze. I think in these three years we have travelled further down the path of ensuring transparency and accountability in our administration. The power and the usefulness of the Right to Information Act are being felt more fully today than ever before. And this is all to the good. We wish to build upon these achievements. Our government stands committed to a comprehensive agenda of legal, executive and technology initiatives to curb corruption and improve governance and we consider the Right to Information to be a powerful tool to enable us to move in that direction. We wish to make the Right to Information an even more effective instrument for ensuring transparency and accountability in administration. I would like to mention here our initiative to enact a legislation for the protection of Whistleblowers which would further strengthen the Right to Information. We expect this law to be enacted in the next few months and it would, among other things, help in prevention of violence against those who seek to expose wrongdoings in our public administration. Even as we recognize and celebrate the efficacy and the effectiveness of the Right to Information Act, we must take a critical look at it. There are concerns that need to be discussed and addressed honestly. I had mentioned last time the need to strike a balance between the need for disclosure of information and the limited time and resources available with the public authorities. A situation in which a public authority is flooded with requests for information having no bearing on public interest is something not desirable. We must, therefore, pool all our wisdom, our knowledge, and our experience to come to a conclusion on how to deal with vexatious demands for information, without at the same time hindering the flow of information to those whose demands genuinely serve public interest. Another concern that has been raised is that the Right to Information could end up discouraging honest, well meaning public servants from giving full expression to their views. I think we need to remember here that a point of view brought under public scrutiny and discussion in an isolated manner may sometimes present a distorted or incomplete picture of what really happened in the processes of making the final decisions. The Right to Information should not adversely affect the deliberative processes in the government. We must also take a critical look at the exemption clauses in the Right to Information Act to determine whether they serve the larger good and whether a change is needed in them. I am happy that there is a special focus in your conference on the exemption clauses of the Act and I would urge all of you to come up with concrete suggestions in this area. There are also issues of privacy. The Act does have provisions to deal with privacy issues but there are certain grey areas that require further debate. The Right to Information enables access to information even from a private party that comes under a regulatory framework. This assumes an added significance in the context of an increasing number of projects being taken up in the Public Private Partnership mode. I understand that your conference is being attended by experts from trade and industry bodies such as the FICCI, CII and the ASSOCHAM. I hope the discussions would also cover the commitment and the responsibility of the private sector companies for dissemination of certain basic information relating to their operations. I understand that the demand for information under the Right to Information Act has grown significantly year after year in the last six years. It is a matter of considerable satisfaction for us that the rejection of the requested information has shown a consistently decreasing trend, from 7.2% in 2007-08 to 6.4% in 2009-10 and 5.2% in 2010-11. A decreasing trend is also evident in the percentage of requests in which appeals and complaints are filed with the Commission. The Commission, through its decisions from time to time, has laid down principles for disclosure of various classes of information which were not considered fit for disclosure thus far. All this indicates that public authorities today are more open and more sensitive to concerns voiced in the Act, and they are better prepared to respond to citizens` request for information. This is a matter of considerable satisfaction to all of us. The number of appeals / complaints before the Commission, however, is still very large. This is indicative of the scope for further enhancement of the quantum as well as quality of voluntary disclosure. Public Authorities in our country have still a long way to go in making proactive disclosures of information that is not covered by the exemption provisions of the Right to Information Act. They must endeavor to voluntarily put information in the public domain without waiting for applications from information seekers. If this is done, a lot of time will be saved both for public authorities as well as for citizens. I am told that the Department of Personnel & Training will organize a series of workshops on the subject in the month of November 2011 for the Central Public Information Officers of all the Ministries and public authorities of the Government of India. These workshops will provide a forum for public authorities to learn from the experience of others. I am happy to know that the Central Information Commission has also offered to participate in these workshops. A major challenge for public authorities in our country lies in the area of `Information Housekeeping`. With the improvement in data management practices through computerization of records and work flows, the time may not be far when citizens may locate on their own, the status of their requests in the work flow artery of public authorities. The RTI Act itself mandates such Disclosure and Record Management. The National e-governance Plan, I hope, would go a long way in promoting the use of information and communication technologies in facilitating access to information. Will politicians understand hunger by experimenting with fast? Anna Hazare’s success reminded the political class about the magnetic effect a fast has on the common man, who suffers hunger on a daily basis and is hungry for good governance that could ensure some sort of social and economic equality in his poverty stricken and discrimination filled life. Two politicians in Gujarat have gone on fast. If Narendra Modi is using the communal harmony-coated fast for a boisterous projection of US-certified development in the state to exorcise the ghost of post-Godhra riots, then Shankersinh Vaghela is fasting to scratch the still fresh wounds to widen the chasm between communities for electoral gains. But no politician seems inclined to go on fast for the 40 crore Indians who even after 64 years of independence live below the poverty line. Recently, for the benefit of the Supreme Court, the Planning Commission said a person is below the poverty line if he is unable to buy food worth Rs 20 a day at a time when almost every essential commodity is out of his reach. And if he did not live below the poverty line, that is if he is able to spend Rs 21 a day on himself and his family, then he would have to buy ration from the market as he would be disentitled to get it from PDS shops. Faced with an absurd definition of poverty, fast has become a common man’s constant companion. Political inaction to streamline supply of subsidised foodgrain to the poor forced Supreme Court to intervene decisively. When Justices Dalveer Bhandari and Deepak Verma said “not a single person should die of starvation”, it would have sounded like a poll-eve political slogan had it not been accompanied by stern directions for distribution of additional grains in 150 poorest districts. It is the faceless common man — farmer, cobbler, iron-smith, washerman, landless labourer, daily wager, painter, plumber, sewage worker, sweeper — who sustains the wheels of the economy, yet faces the brunt of the economic policies of the government. Would politicians take turns to live for a few days in the households of the poor and try to understand the hunger, anger and anguish that is stripping the common man of the right to live with dignity? Have they tried to understand the root cause behind the suicide of over 1.40 lakh farmers who left behind tales of debt, poverty and sorrow? Is waiver of loans the answer? Poverty and hunger have drawn the Supreme Court’s attention periodically. In People’s Union for Democratic Rights vs Union of India [1982 SCC (3) 235], it said utter, grinding poverty had broken the backs and sapped the moral fibre of a majority of the population. “They have no faith in the existing social and economic system. What civil and political rights are these poor and deprived sections of humanity going to enforce,” it had asked. Even when poverty still ruled society, the apex court in the year 2000 in Islamic Academy case said right to development was also part of human rights. “Economic prosperity or elimination of poverty is not the only goal to be achieved but along with it allow individuals to lead a life with dignity with a view to (make them) participate in the governmental process, so as to enable them to preserve their identity and culture,” it said. Sadly, we are very far from eradicating poverty, which was the poll slogan of the Congress party in the 1970s. Politicians still do not understand that hunger and poverty afflict the soul of a person and drive him to do things which are strange to his social and moral DNA. Fasting may have brought Hazare support for a campaign against corruption. But fasting surely will not get politicians the votes. What voters need is development in the true sense and this alone can ensure prosperity and help eradicate poverty. The Anna Hazare-led civil society movement cannot be faulted for having come up with its version of the Lokpal Bill, because otherwise it would have been accused of campaigning for something essentially negative – the withdrawal of the flawed government version without putting forward an alternative. Frustration with everyday corruption – as well as the spectacular kind that explodes in the public sphere ever so often ( Commonwealth Games, 2G, Adarsh, illegal mining in Bellary district etc) – explains the widespread popular support received by the anti-corruption movement. The depth of this support, coming from every corner of the country, should tell the government something. While the value of the movement lies in having highlighted the critically important issue of corruption – which has not been dealt with seriously by successive governments – the Jan Lokpal Bill put forward by Team Anna too is flawed in some of its specifics. If the government Bill is minimalist, setting up a toothless ombudsman with limited powers, the Jan Lokpal is too overarching in its design and could topple under its own weight. It is somewhat contradictory in its approach, in that it envisions a superior layer of bureaucracy to fix bureaucratic corruption. If the government version of the Lokpal Bill can be likened to a cop with a lathi confronting an AK-47 wielding terrorist, the Jan Lokpal could be the equivalent of the trigger-happy supercop mowing down innocent citizens in his rage to establish order. A third version of the Lokpal Bill, formulated by Aruna Roy and the National Campaign for Peoples’ Right to Information (NCPRI), is superior to both the government version and the Jan Lokpal Bill. We are in sympathy with its broad philosophy, which is to have a series of interlocking bodies which will act as a check on each other rather than a centralised, overarching Lokpal which supervises everything. The way to check corruption is through an architecture of mutually supportive legislation, rather than through a single Bill which is required to deliver a magic bullet. This vision is best embodied in the NCPRI design. The biggest flaw in the government version is that it excludes many categories of public servants from its ambit – anyone below grade A in the central government, state-level civil servants, the judiciary, the PM while he is in office. Moreover the dice is loaded in favour of the accused, which would make it extremely difficult to bring powerful people to justice and therefore defeat the purpose of the Bill. For example, while there is no provision to protect whistleblowers, the Bill provides for all incriminating evidence to be made available to the accused even before the registration of an FIR. Moreover, the tough punishment provided for the subjectively determined ‘frivolous’ or ‘vexatious’ complaint (two to five years imprisonment) would deter most victims of corruption from lodging a complaint. The Jan Lokpal Bill corrects for flaws in the government version by including everybody under the ambit of the Lokpal. Besides corruption cases, the Lokpal is asked to look into grievance redressal as well. This leaves it with the unenviable task of policing some four million employees of the central government alone, among many other categories. Like our present court system, the Jan Lokpal could simply get buried under a backlog of cases. Moreover, too much power would be concentrated in the Jan Lokpal. Complaints against it may be lodged in the courts. But since the judiciary itself will be under the Jan Lokpal, that would have a chilling effect on any judgments against it. For anti-corruption laws to work, the remit of anti-corruption bodies must be specific and focussed. To have a manageable task on its hands, the Lokpal should focus on corruption cases involving MPs, ministers and senior officers in the central government. If corrupt officers at grade A level are punished, the message is bound to percolate downwards. Besides, there can be other agencies to check corruption at other levels (more about this soon). For the same reasons the Lokpal should confine itself to cases where public servants are involved, and not stray into cases of NGO or corporate fraud. The government Lokpal envisages harsh penalties for NGOs, the Jan Lokpal and NCPRI versions do the same for corporates. But the job of public servants is to regulate the working of civil society institutions. If public servants were honest and only some corporates and NGOs were corrupt, we wouldn’t have so much of a problem as the government can throw the book at the latter using a whole gamut of legal instruments: the Companies Act, the Prevention of Corruption Act, IPC provisions which deal with bribery and corruption, income tax laws, the Foreign Contribution (Regulation) Act and so on. The real problem arises when the regulators themselves, ie public servants, are corrupt. Anti-corruption laws will work if we keep the architecture simple, without diversionary red herrings – the government polices civil society, Lokpal polices the government. Who polices the Lokpal? It could be the Supreme Court, which would entail keeping the higher judiciary outside the purview of the Lokpal. The NCPRI suggests strengthening the Judicial Standards and Accountability Bill as a check on judicial corruption. But a superior solution is to have a National Judicial Commission (NJC), which would look at judicial appointments as well. If the quality of judges in the Supreme Court and high courts could be regulated at entry, that would be a more holistic way of dealing with corruption. To widen the scope of discussion on judicial practices, the NJC should incorporate a balanced mix of non-judicial members as well (the relevant authority in the current Judicial Bill can induct only judges and members of the legal profession). It may require a constitutional amendment to set up the NJC, but the government could commit to bring in such an amendment within a year. As for dealing with corruption at other tiers of public service, the NCPRI makes sound suggestions. A strengthened Central Vigilance Commission (CVC) can look at corruption among civil servants below grade A level. State Lokayuktas should be appointed to rein in corruption at the state level. While a serving prime minister should be under the aegis of the Lokpal, strong safeguards are needed to ensure he is not unduly harassed in conducting the work of government. A full bench of the Supreme Court should be convinced there is a prima facie case and clear the investigation, vicarious liability (due to misconduct of other ministers) shouldn’t be considered, national security matters should be kept outside the purview of the Lokpal. There is need for a strong Bill to protect whistleblowers. Another one should set up a grie-vance redressal commission, to look into redress of grievances not amounting to corruption. Finally, it’s important to remember that corruption cannot be controlled through punitive steps alone. Side by side, we need to reform the system to reduce incentives for corruption. For that we need to look carefully at policies and processes through which scarce resources such as land, spectrum and minerals are allocated. We also need to look at how elections are funded. High stamp duties, for example, incentivise the undervaluing of property and therefore the setting up of a black economy. Heavily distorted land markets make the rise of a land mafia inevitable. Rs 40 lakh as the legally designated upper limit for electoral spending by a Lok Sabha candidate is ridiculously low and impractical, inviting evasion by successful candidates. Perhaps, instead of a mechanical cap on spending we need to put in place a full disclosure requirement, whereby every candidate is obliged to place on record all campaign contributions received beyond a prescribed minimum level. For insights into how reforming the system (as opposed to punitive measures alone) could reduce incentives for corruption, watch this space tomorrow for an article on the subject by Arvind Panagariya. Whom should the Lokpal cover? Times View: The Lokpal must focus on graft in government. Existing laws should be strongly applied to corrupt practices in civil society but the Lokpal must focus on corruption within government. Mercy plea or Lokayukta: Can Prez and guv act in personal capacity? Recent decisions by constitutional heads – rejection of mercy petitions in the Rajiv Gandhi assassination case by the President and the Gujarat governor’s decision to appoint Lokayukta – have caused debates both on constitutional and political lines. So, the President by rejecting the mercy pleas has, on the aid and advice of the Union council of ministers, come to the conclusion that public welfare would not be served by reducing the punishments awarded to the convicts. The Constitution does not provide for any mechanism to question the legality of decisions of President or governors exercising mercy jurisdiction. But the SC in Epuru Sudhakar case has given a small window for judicial review of the pardon powers of President and governors for the purpose of ruling out any arbitrariness. Now, it is in the process of examining whether there should be a time limit for deciding mercy petitions, which keep pending for years inflicting mental torture on condemned prisoners awaiting their day. The question of the President and governors, conferred with wide powers under the Constitution, acting in their own capacity without consulting the elected government came in for wide discussion in Shamsher Singh case [1975 SCR (1) 814]. A 7-judge constitution bench was amused by the ingenious arguments by a counsel supporting vesting of discretionary powers with President and governors to step around the SC’s consistent view that India has accepted the Cabinet form of government. The counsel argued – wherever the Constitution has expressly vested powers in the President or the governors, they belong to them alone and cannot be handled on their behalf by ministers under the relevant rules of business. It is similar to the arguments justifying Gujarat governor Kamla Beniwal‘s decision to appoint Lokayukta without consulting the chief minister. The SC had answered this question by saying, “How ambitious and subversive such an interpretation can be to parliamentary (and popular) authority unfolds itself when we survey the wide range of vital powers so enunciated in the Constitution. Indeed, a whole host of such Articles exist in the Constitution, most of them very vital for the daily running of the administration and embracing executive, emergency and legislative powers either of a routine or momentous nature.”Discussing the governors, the court said they had “power to grant pardon or to remit sentence, the power to make appointments including of the chief minister, the advocate general, district judges, members of the public service commission”. It listed such kind of power vested in the President – supreme commander of the armed forces, appointment of judges of the SC and HCs, power to dismiss a state government under Article 356 and an entire army of public servants who continue in service at the pleasure of the President. If President and governors acted on their own, then parliamentary democracy “will become a dope and national elections a numerical exercise in expensive futility”, the court had warned. The 7-judge bench said if this was true of Indian Constitution and the system of governance, then “we will be compelled to hold that there are two parallel authorities exercising powers of governance of country, as in the dyarchy days, except Whitehall is substituted by Rashtrapati Bhawan and Raj Bhawan. The Cabinet will shrink in political and administrative authority”. It said such a distortion “would virtually amount to a subversion of the structure, substance and vitality of our Republic, particularly when we remember that governors are but appointed functionaries and the President himself elected on a limited indirect basis”. Irrespective of who gets appointed and who gets pardon, let politicians not introduce politics into the constitutional scheme, the thread that keeps the country united. In case of Gujarat, there is a difference- the statute clearly provided that Lokayukta will be appointed by the governor in consultation with the chief justice of the HC. The Modi government can amend the statute, which on Shamsher Singh judgment logic, appears untenable. But as long as it is there, why does the BJP want the Modi government to have primacy in Lokayukta appointment but grandstands for an independent process for Lokpal? After the appeal by all political parties to Anna Hazare to end his fast cutting across party lines in the resolution adopted unanimously in the Lok Sabha on August 25, it was reasonable to expect that his core group of advisors would ensure that the impending danger to his health and life would be averted. Justice Santosh Hegde, a member of Anna Hazare’s team, and his many other followers also made such an appeal. A meaningful constructive debate on the status, nature and jurisdiction of the proposed Lokpal requires a conducive atmosphere. Fortunately, Anna Hazare having decided to end his fast, the debate on the contentious issues can now proceed coolly. One such issue has emerged from Rahul Gandhi’s suggestion in the Lok Sabha that the proposed Lokpal be a constitutional body like the Election Commission or the Comptroller & Auditor General, which has the status of a Judge of Supreme Court. As it is, the contemplated draft Lokpal Bills also envisage the same status for the Lokpal, though in an ordinary legislation. Many persons have sought my view on this issue. Therefore, I consider it worthwhile to put it in public domain for consideration, as part of the democratic process. What, if any, could be the advantages of the proposed Lokpal being a constitutional body, instead of a mere statutory authority? I would think there are many. One obvious difference is that any change in the structure or status of a mere statutory authority can be made by a simple majority in the legislature enacting an ordinary legislation, whereas such a change in a constitutional body would require the more onerous route of a constitutional amendment adhering to the principle of federalism. No doubt, the initial creation of the Lokpal as a constitutional body would itself require a constitutional amendment, but in the current mood of the entire nation supporting the crusade against corruption demanding a ‘strong Lokpal’, the environment is conducive for this progressive step. An immediate impact of such a move will be also to satisfy the core demand of Anna Hazare and his team voiced by the entire nation of a ‘strong Lokpal’. One of the contentious issues relates to the provision for effective Lok Ayuktas in the states. Article 253 of the Constitution does empower Parliament to enact a law for the whole or any part of the territory of India to implement an international treaty or convention: UN Convention against Corruption in this case. This provision overrides the Lists in the Seventh Schedule. A constitutional amendment to create the institution of the Lokpal akin to that of the Election Commission or the CAG will overcome that difficulty by making uniform provision for equally effective Lok Ayukta in the states. Another relevant factor is that corruption-free governance is a basic human right, more so in a developing country. In India it is a judicially recognised enforceable right derived from guaranteed fundamental rights. The Human Development Report, 1999 on the theme of ‘Crisis of Governance in South Asia’, identified corruption as a major cause for that crisis. A ‘strong Lokpal’ to combat the malaise of corruption is a clarion call of the nation; and it is also a means to address the constitutional promise made in the directive principles of State policy as well as for eradication of poverty-the foremost Millennium Development Goal. The Durban Commitment to Effective Action against Corruption (1999) resolved: “[Corruption] deepens poverty; it debases human rights, it degrades the environment; it derails development and it destroys confidence in democracy and the legitimacy of governments. It debases human dignity.” A constitutional Lokpal, instead of a statutory Lokpal, will be more effective to achieve this objective. Another incident of a constitutional Lokpal to combat corruption would be to make its function a basic feature of the Constitution, and, therefore, a part of its indestructible basic structure that would be beyond even the amending power under Article 368: Keshavananda Bharti, AIR 1973 SC 1461. Immunity from vagaries of changing political equations in the era of coalitions is another benefit. Experience has shown that the constitutional bodies are comparatively more effective and immune from political and other extraneous influences than statutory bodies. The need for creation of a ‘strong Lokpal’ providing greater public confidence in its credibility is sufficient reason to prefer its constitutional status. I may reiterate another aspect which I have been emphasizing for long. The Lokpal, in whatever form, is not a panacea for controlling corruption from all sources. A holistic view is necessary to take measures to cure as well as to prevent this evil in all its aspects. More than one measure is needed to provide complete remedy. A few illustrations would suffice. Judicial accountability as a facet of judicial independence cannot be achieved without the effective accountability also of the lawyers, which is inadequate under the Advocates Act, 1961 giving the entire control over the conduct of lawyers only to a body of lawyers. Linkage between misconduct of some lawyer and that of the errant judge is common knowledge. Similarly, corruption of other professionals, corporates, media etc. has also to be addressed. Even the field of education is no longer sacrosanct. In short, the long term target of restoration of values as the strongest preventive measure must also be a part of the action plan. Electoral reforms are necessary to curb the ill-effect of money and muscle power that breed corruption and criminalise politics; and reforms to prevent tax evasion contributing to increase of black money. Constitution Amendment Bill could also simultaneously introduce concurrent constitutional changes essential for a strong anti-corruption regime such as to Articles 105, 194 and 235. The impact of the JMM bribery case needs to be overcome by amending Articles 105 and 194 and codifying the privileges of the members. Such a comprehensive programme alone can prevent as well as cure the malady; otherwise adding to the existing plethora of legislation on the subject would only be a symptomatic treatment instead of a permanent cure. There is no instant cure for a chronic disease. It requires a sober debate along the correct route. Enlargement of the debate on the challenge at this juncture also provides the opportunity which must not be lost. Anna Hazare has provided this opportunity for an intensive search for the best method to combat rampant corruption. The churning process to find the best solution has begun. 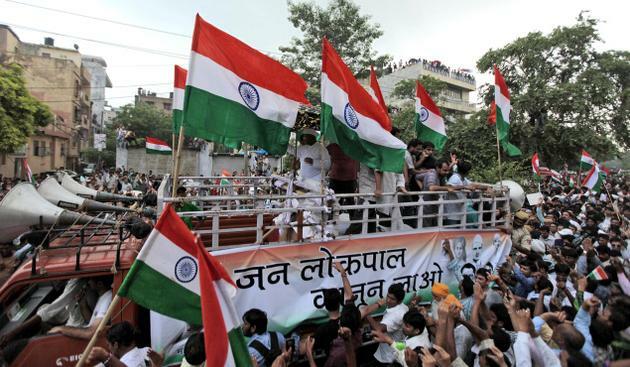 It is time for Hazare to derive satisfaction that his prime purpose is served. He should now leave it to those who are constitutionally entrusted with completing the task with the aid of all of the civil society in our inclusive democracy. I sincerely urge movement in this direction within the constitutional scheme. In the context of the ongoing moves on the Lokpal Bill issue, it has to be noted that a resolution of either House of Parliament, even when it is passed by a division, has limitations with regard to implementation by government. There are three types of resolutions: one is the kind that, when passed, the government will have to implement statutorily; the second type can control the procedure of the House; the third type may be an expression of the opinion of the House. For instance, when a Bill on appropriation of grants is passed by the Lok Sabha and considered by the Rajya Sabha, it gives statutory authority to the government to withdraw amounts from the Consolidated Fund to meet the specific purpose for which Parliament makes the grant. Article 123 of the Constitution provides that if both Houses pass a resolution disapproving an Ordinance promulgated by the President, it shall be mandatory to cease to operate it. Under Article 356, the Proclamation of President’s Rule issued for a State should be approved by Parliament through a resolution; otherwise it will cease to operate. Resolutions moved by private members are generally meant to express an opinion; even if passed it is not mandatory that the government implements it. 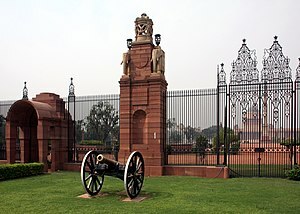 Rule 171 of Lok Sabha: A resolution may be in the form of a declaration of opinion, or a recommendation; or may be in the form so as to record either approval or disapproval by the House of an act or policy of government, or convey a message; or commend, urge or request an action; or call attention to a matter or situation for consideration by government; or in such other form as the Speaker may consider appropriate. “Resolutions which are mere expression of opinion of the House: Since the purpose of such a resolution is merely to obtain an expression of opinion of the House, the Government is not bound, as convention has it, to give effect to opinions expressed in these resolutions. It entirely rests on the discretion of the Government whether or not to take action suggested in such resolutions. “Resolutions which have statutory effect: The notice of a statutory resolution is given in pursuance of a provision in the Constitution or an act of Parliament. Such a resolution, if adopted, is binding on the Government and has the force of law. On August 10, 1978, N.K.P. Salve moved a motion in the Rajya Sabha for the appointment of two Commissions of Inquiry to look into corruption charges against the family members of the Prime Minister and the former Home Minister. This writer opposed it, for under the Commissions of Inquiry Act a motion passed by the Lok Sabha has statutory effect, and the government has to implement it. A motion passed in the Rajya Sabha was only a recommendation to be considered by the government at its discretion. However, the Rajya Sabha adopted the motion 104 to 78. L.K. Advani, the Leader of the Rajya Sabha, accepted the ruling and promised that the government would carefully consider the recommendations of the motion. There the matter ended. Regarding a statute for the establishment of the Lokpal, the government prepared on August 4, 2011 ‘The Lok Pal Bill, 2011′ according to the Rules of Procedure and practices, and along with the President’s Recommendation under Article 117(1) and (3). This Bill was referred to the Parliamentary Standing Committee on August 8; it was required to send its report in three months. The committee advertised on August 20 inviting views/suggestions within 15 days. These have to be sent by September 4, and the committee may examine them and submit a report by November 3. 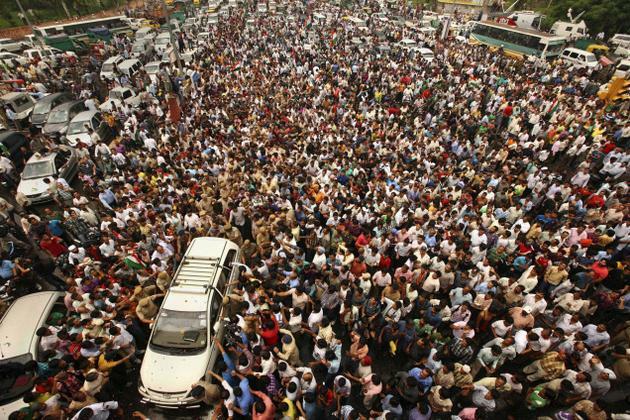 However, the agitation by Anna Hazare and the civil society team has created an urgent and critical situation. It may not be possible for the government to send on the Jan Lokpal bill or the bills propounded by others. Unless the government has made clear and satisfactory decisions on the points raised by the civil society team, the situation could go out of control. Of the 10 Lokpal Bills introduced so far at the Centre, five were by Congress governments and the rest by non-Congress governments. The major difference among them was the exclusion of the Prime Minister by the former and the inclusion by the latter in the ambit of the Lokpal Bill. But none of them demands a constitutional amendment for the establishment of a Lokpal. A constitution amendment may require still more time; the legislatures of not less than half the States would have to ratify it, as required under the Article 368(2). This will take months. If there is a will, there is a way to enact an effective Lokpal Act even under the statutory procedures available. The Karnataka Lokayukta Act of 1985 enacted by the Ramakrishna Hegde government provided for a Lokayukta to investigate and report on allegations or grievances relating to the conduct of public servants including the Chief Minister; Ministers and members of the legislature; all officers of the State government; chairman, vice-chairman of local authorities, statutory bodies or corporations established by or under any law of the State legislature, including cooperative societies, persons in the service of local authorities, corporations owned or controlled by the State government, a company in which not less than 50 per cent of the shares are held by the State government, societies registered under the State Registration Act, cooperative societies and universities established by or under any law of the legislature. Where, after investigation into a complaint, the Lokayukta considers that the allegation against a public servant is prima facie true and makes a declaration to that effect, and the declaration is accepted by the competent authority, the public servant concerned, if he is a Chief Minister or a Minister or a member of State legislature, shall resign his office. If he is any other non-official, he shall be deemed to have vacated his office, and, if an official, shall be deemed to be under suspension, from the date of acceptance of the declaration. If, after investigation, the Lokayukta is satisfied that the public servant has committed a criminal offence, he may initiate prosecution without reference to any other authority. Any prior sanction required under any law shall be deemed to have been granted. Any effective government in a functioning democracy worth its name should anticipate a problem before it becomes a crisis and solve a crisis before it lands the government and the country in a catastrophe.